Not only does the LeviZen look like something out of the Legion lab, but its description, a "liquid levitator," also sounds like something Loudermilk might build to, I don't know, harness and suspend David's subconscious in a few drops of water to see if Farouk is still skulking around in there. The piece of gravity-defying desktop art is completely benign though. Creators Simplistyk designed it to bring some funk and outer space, along with a dose of peace, calm, and LeviZen to your day. Using (inaudible) high frequency sound waves, LeviZen is able to hover one or a few drops of liquid - water, Slurm, Juma Juice, Romulan ale, your choice - in mid-air. According to Simplistyk, turning on the device activates 2 identical sound waves that travel against one another to create a standing wave. The wave has parts that move at their max speed, and other, tinier segments, called nodes, that don't move at all. 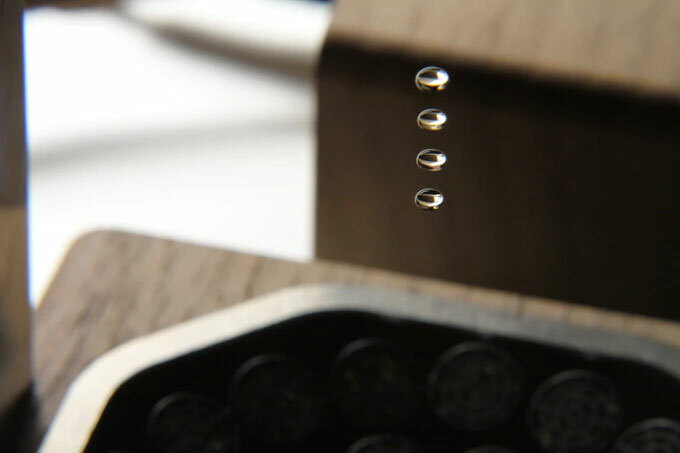 The nodes are able to suspend a water droplet between the waves' moving parts to display LeviZen's anti-gravity effect. 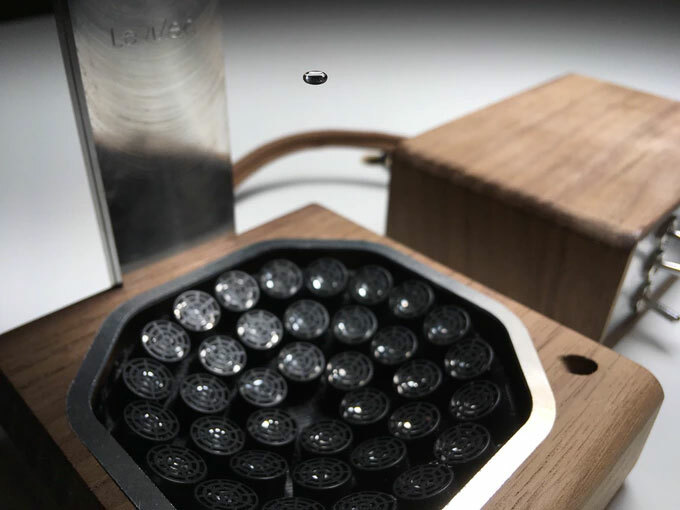 LeviZen also has a pair of built-in spot LEDs at its base that shine directly on levitating liquid drops to create further visual excellence. When turned on they make the liquid look like little glowing orbs of light. LeviZen consists of 2 pieces: The LZ apparatus; and The Box. 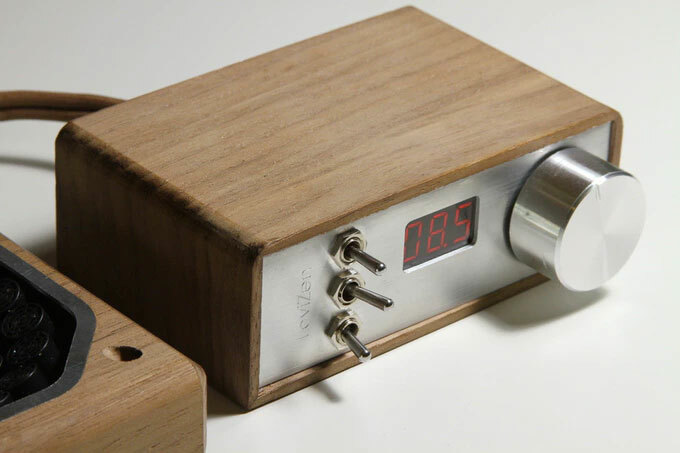 The Box, designed to look like a retro amplifier, controls the levitation action, raising or lowering the output power based on the density of the liquid in the LeviZen. You can increase or decrease its output with an aluminum knob. 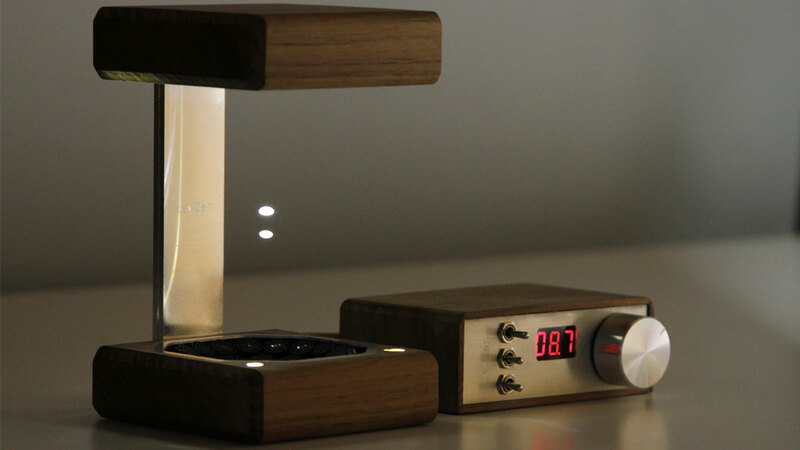 The LeviZen itself is CNC machined from walnut wood and hand-finished aluminum. 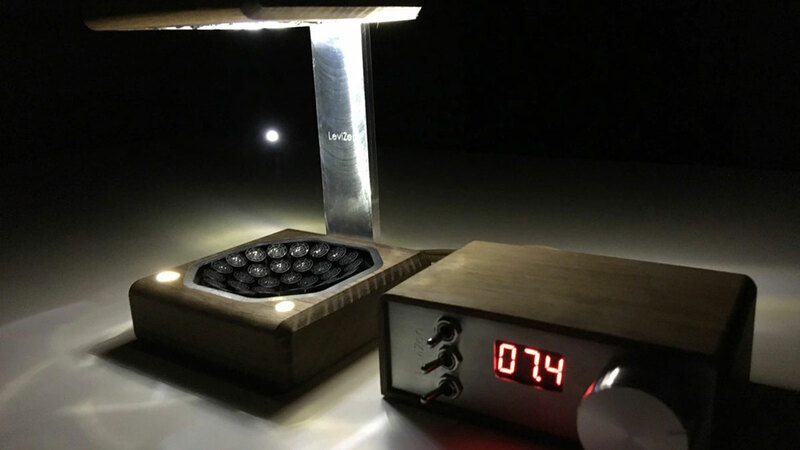 If you want to get in on the liquid levitation action, you can pledge for a LeviZen on Kickstarter through April 19, 2018.